There’s nothing quite as satisfying as securing a great bargain, and there are definitely bargains to be had at popular deep-discount, dollar store-like retailers. Still, it’s often hit-or-miss, which is why you need to be on your toes at places like the Dollar Store, Dollar General or the reigning sovereign of all ye olde dollar-themed shopping destinations: Five Below. You just can’t go wrong snapping up some of these reliable dollar store finds. Dishes at dollar stores are totally worth it. You might not want to buy your best set here, but you can easily pick up some diner-quality plates, glass and flatware for anywhere from 50 cents to a single dollar a piece, and build up a collection of stuff that, when they break, won’t cause your heart to. You can’t go wrong with the collection of utilitarian budget items that will help you get organized. No-frills baskets, drawer dividers and plastic bins will get the nightmare otherwise known as “beneath the kitchen sink” up to snuff. Wrapping paper, bows, balloons, greeting cards and even decorating items can all be found for way less than you could get them at a party or department store, so stock up on these items when you’re wandering the aisles — you won’t be sorry to have them on hand when the time comes. Unless you have serious brand loyalty issues, there’s no reason not to grab your glass spray and toilet bowl cleaner at a dollar store. Also to be had for way cheaper: things like sponges and dishrags, which need to be replaced often anyway. Better to pick them up on discount. No, seriously. Believe it or not, dollar store pregnancy tests are accurate (if not as sensitive) as their drugstore counterparts. The only difference is that they cost anywhere from $13-20 less than they otherwise would. 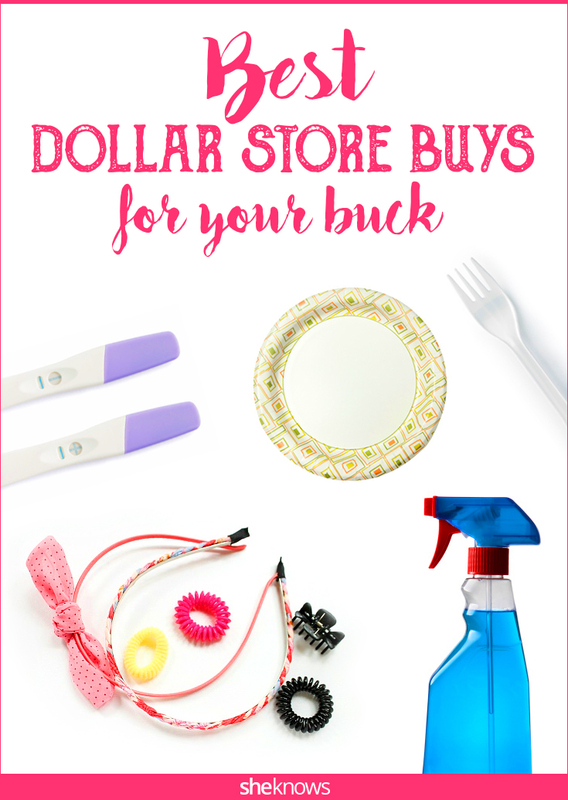 Can you believe how expensive items like simple hair ties, bobby pins and hairbrushes have gotten? Not at dollar stores. And since they usually carry brand-name items like Goody and Scünci, you can get a double discount by snatching up a coupon online. Big stores like Target and even Wal-Mart know that you’ll pay extra moolah for seasonal décor if you don’t already have a stash on hand. Everything from Halloween spiderwebs to Christmas lights run tons cheaper at your favorite dollar retailer — plus they are marked down to practically nothing when the season ends. More: Instagram thinks you’ll be offended by this mom’s photo, so are you? Have a lot of little pictures to frame? Skip the bigger stores, which have frames that start at five dollars and rocket upward from there. Grab them at a dollar store instead, and then frame away. Pens, pencils, loose-leaf paper and little desk detritus items like paper clips and pushpins will all be significantly cheaper at dollar stores. A good rule of thumb is that if you’re going to replace it often — paper clips seem to vaporize after one use and paper is typically one-and-done — there’s no need to splurge on more aesthetically pleasing versions. Just grab those generic thumbtacks and go. If it’s been awhile since you were in a dollar store, you might be surprised to find that there are tons of deals on things like times tables posters, handwriting workbooks and circle time-type items like calendars and color posters. If you homeschool or just have a kid who loves to learn, this is the place to get those things. Sure, you won’t find any bestsellers here, but if you need a quick beach read or airplane time-killer, or a couple of board books for the kid in your life, you might as well grab them at the lowest price possible. Forget Mommie Dearest. 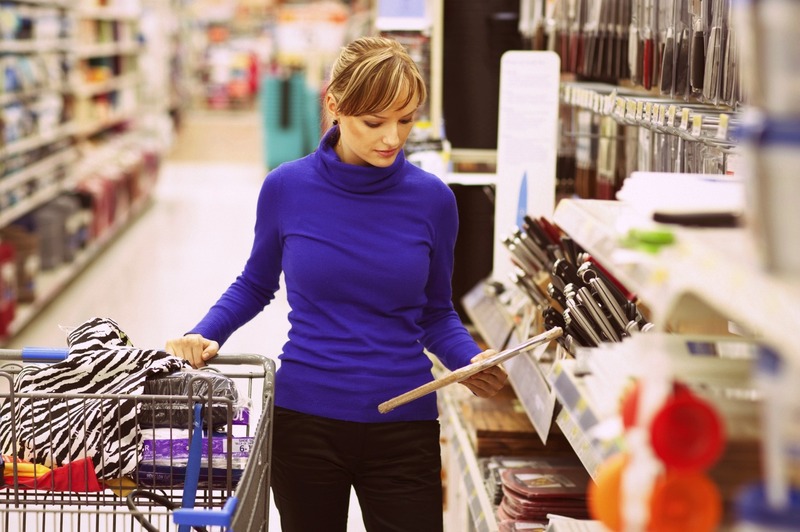 Grab as many wire hangers (or plastic ones, if you prefer) as you need at the dollar store. They typically come in packs of 10 or 20 for a dollar or two a piece. Have a potluck to go to or planning on entertaining soon? Skip your grocery store’s baking aisle, where disposable aluminum baking pans can put you out five bucks, and get one or more for a dollar instead. If you’re going to pitch it anyway, there’s no need to be picky on brand-name versions. Especially at Five Below, you can find socks, T-shirts and even comfy sweatpants for just a fiver or less. Their knock-off TOMS ain’t bad either; they hold up great and when you save $35 on them you can send the difference straight to any charity you want, no middleman required.